Humble Bundle brings you some incredible deals throughout the year, but the titles available as part of January’s deal could just be among the best ever collections. 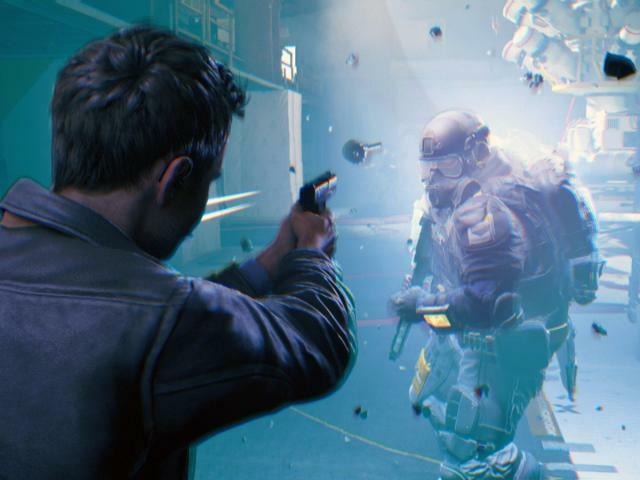 Quantum Break is an third-person shooter developed by Remedy Entertainment and published by Microsoft Studios, which means it’s also available on Xbox. The protagonist of the game is Jack Joyce, who gets time manipulation powers after a failed time-machine experiment. The game has widely been praised for seamlessly integrating standard shoot-’em-up gameplay with TV-inspired storytelling. Warhammer 40,000: Dawn of War III is a real-time strategy (RTS) game released by Relic Entertainment and Sega in partnership with Games Workshop, the company behind the Warhammer 40,000 franchise. It is the third stand-alone title in the Dawn of War series, and the first one since the launch of Dawn of War II: Retribution in 2011. It’s built on the Essence engine 4.0 and is available on Windows, macOS and Linux. While the first two titles are incredibly popular among PC gamers, the third one is a relatively unknown commodity, but has received rave reviews since its release. It comes from indie developer Hinterlands Studio and, is a single-player survival game that eschews the idea of zombies or aliens unlike most other survival titles of its ilk. Instead, what you get is nature at its furious best, and it is your job to protect yourself against everything it can throw at you, including, the harshest climates, disasters and the fiercest animals. Alongside the three aforementioned titles, you also get a 10 percent discount on all Humble Store purchases. Plus 5 percent of all profits from this January Humble Bundle will go to ‘charity: water’, a non-profit committed to bringing clean drinking water to people around the world. Do note that along with the three games currently listed on the site, there will be other titles also available in the days to come. These will be unveiled in the coming days. The deal is only available until January 5, 2018 and you can either pay $12 for a particular bundle or subscribe for the monthly bundles, which will reduce the cost even further.